The world’s first sovereign blue bond will support sustainable marine and fisheries projects. 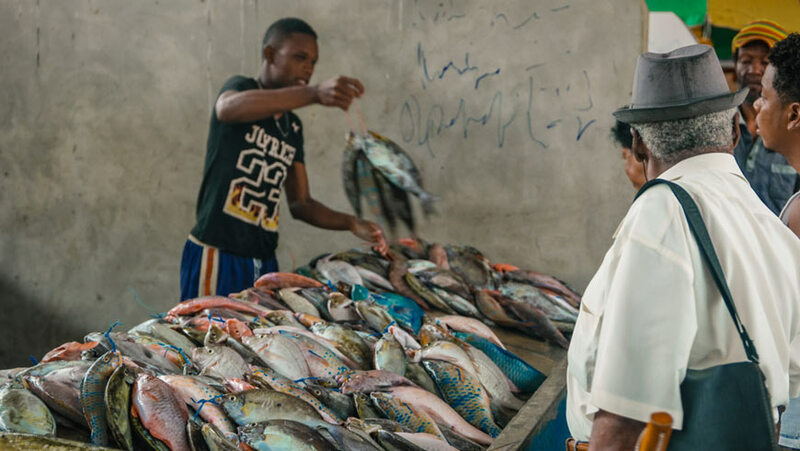 The bond, which raised US$15 million from international investors, demonstrates the potential for countries to harness capital markets for financing the sustainable use of marine resources. The World Bank assisted in developing the blue bond and reaching out to the three investors: Calvert Impact Capital, Nuveen, and Prudential. “We are honored to be the first nation to pioneer such a novel financing instrument. The blue bond, which is part of an initiative that combines public and private investment to mobilize resources for empowering local communities and businesses, will greatly assist Seychelles in achieving a transition to sustainable fisheries and safeguarding our oceans while we sustainably develop our blue economy,” said Vincent Meriton, Vice-President of the Republic of Seychelles, who announced the bond at the Our Ocean Conference in Bali. Proceeds from the bond will include support for the expansion of marine protected areas, improved governance of priority fisheries and the development of the Seychelles’ blue economy. Grants and loans will be provided through the Blue Grants Fund and Blue Investment Fund, managed respectively by the Seychelles’ Conservation and Climate Adaptation Trust (SeyCCAT) and the Development Bank of Seychelles (DBS). “The World Bank is excited to be involved in the launch of this sovereign blue bond and believes it can serve as a model for other small island developing states and coastal countries. It is a powerful signal that investors are increasingly interested in supporting the sustainable management and development of our oceans for generations to come,” said Laura Tuck, Vice President of Sustainable Development at the World Bank. Seychelles is an archipelagic nation consisting of 115 granite and coral islands. It has a land area of 455 km2 spread across an Exclusive Economic Zone of approximately 1.4 million km2. As one of the world’s biodiversity hotspots, Seychelles is balancing the need to both develop economically and protect its natural endowment. Marine resources are critical to the country’s economic growth. After tourism, the fisheries sector is the country’s most important industry, contributing significantly to annual GDP and employing 17% of the population. Fish products make up around 95% of the total value of domestic exports. “The Seychelles blue bond is a significant milestone in our long-standing support for ocean conservation, and the GEF is proud to invest in developing national blue economies that protect the rich marine ecosystem while supporting economic growth, improved livelihoods and jobs,” said Naoko Ishii, CEO and Chairperson of the Global Environment Facility (GEF). The Seychelles blue bond is partially guaranteed by a US$5 million guarantee from the World Bank (IBRD) and further supported by a US$5 million concessional loan from the GEF which will partially cover interest payments for the bond. Proceeds from the bond will also contribute to the World Bank’s South West Indian Ocean Fisheries Governance and Shared Growth Program, which supports countries in the region to sustainably manage their fisheries and increase economic benefits from their fisheries sectors. A World Bank team comprising experts from its Treasury, Legal, Environmental and Finance groups worked with investors, structured the blue bond and assisted the Government in setting up a platform for channeling its proceeds. The business case for a sovereign blue bond was initially identified through support to Seychelles from HRH Prince of Wales’ Charities International Sustainability Unit. Standard Chartered acted as placement agent for the bond and Latham & Watkins LLP advised the World Bank as external counsel. Clifford Chance LLP acted as transaction counsel.